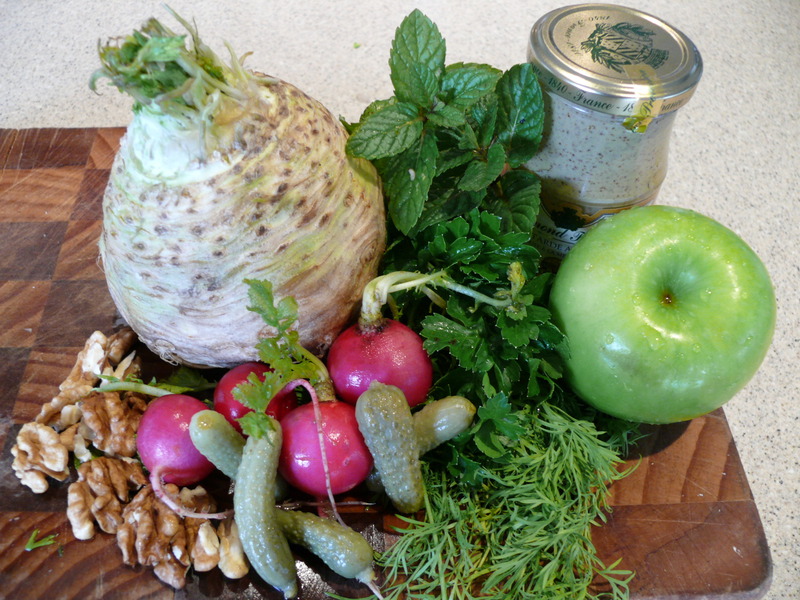 If the fennel I wrote about last week seems still exotic to me what do I now think of celeriac? Not so sure. I wonder why, even though it is definitely not a vegetable I have grown up with or cooked with or eaten – it still almost falls in my mind, to the category of the much maligned swede. 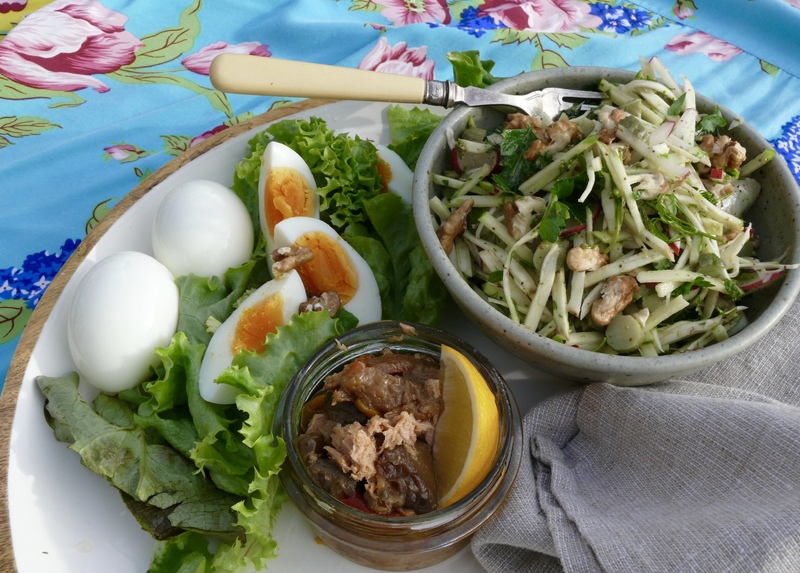 Having said that, price wise it is more of a luxury vegetable, and certainly in culinary sense you will find it much used in french and european cooking – remoulade sauce and salad being very traditional uses of celeriac. 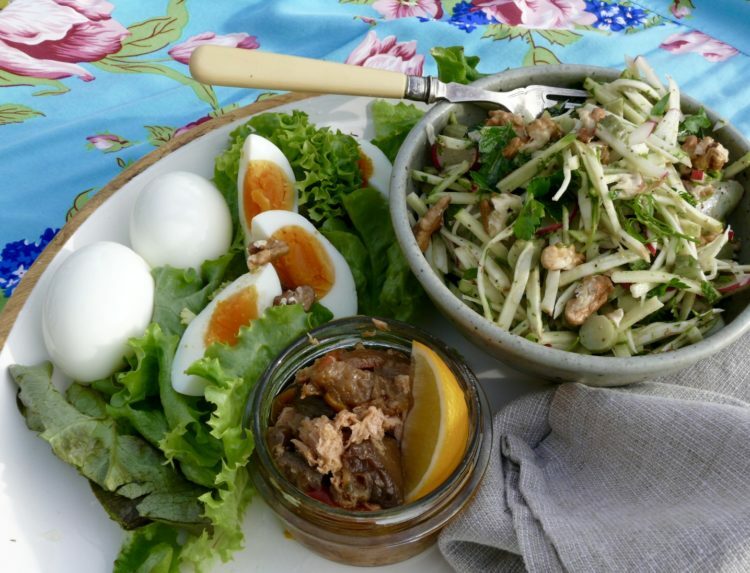 We also often see it on restaurant menus in soup or puree/mash under fish and meats and with its celery flavour it lends itself to all these ideas and many more salads. Celeriac, something new for me – probably not for many – but worth adding to your shopping, a little goes a long way and is very easy and delicious. 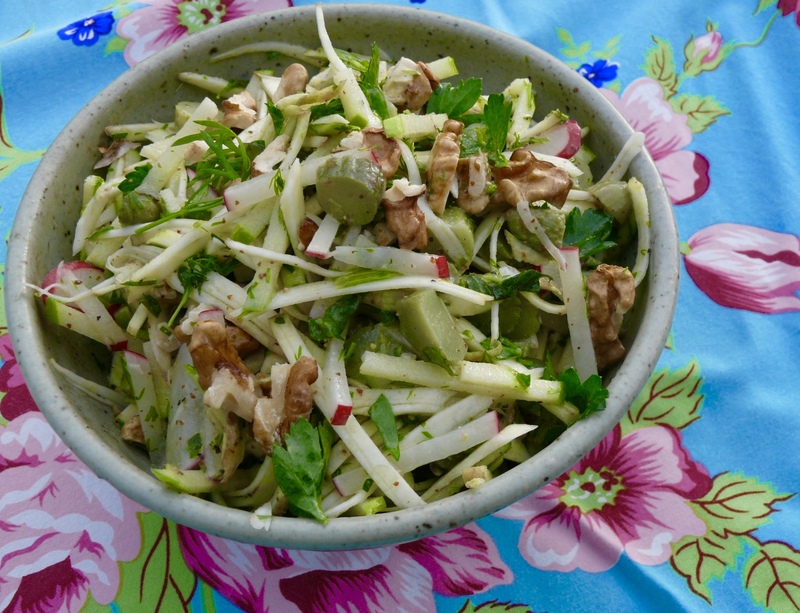 Shred your celeriac and apple first and thoroughly toss with the lemon juice. Taste and check seasoning and enjoy. This really couldn’t be easier. It is delicious and satisfying to be able to enjoy raw vegetables that taste sooo good and are good for you at the same time. Hi Im Anne, a long time food lover and cook. I am hoping to inspire, record and share some of the exciting foods I find and cook in my world with you my family and friends. Keeping it mostly simple,bright, fresh, local and seasonal, with a few treats along the way.